Burke Mountain Resort is not only home to Vermont’s newest slope-side hotel, but also one of the last remaining old school ski bars in the Northeast, where, as one regular says, “The floors are warped, the ceiling leaks, the fire’s hot, the band is great.” What more do you need? On a typical ski season Saturday, Sarah Baker and Chris Rose wake up one mile from Burke Mountain. They step outside their cabin for a morning snowshoe with their dogs. Then, they head to the slopes for a day of skiing or fat biking, depending on conditions. 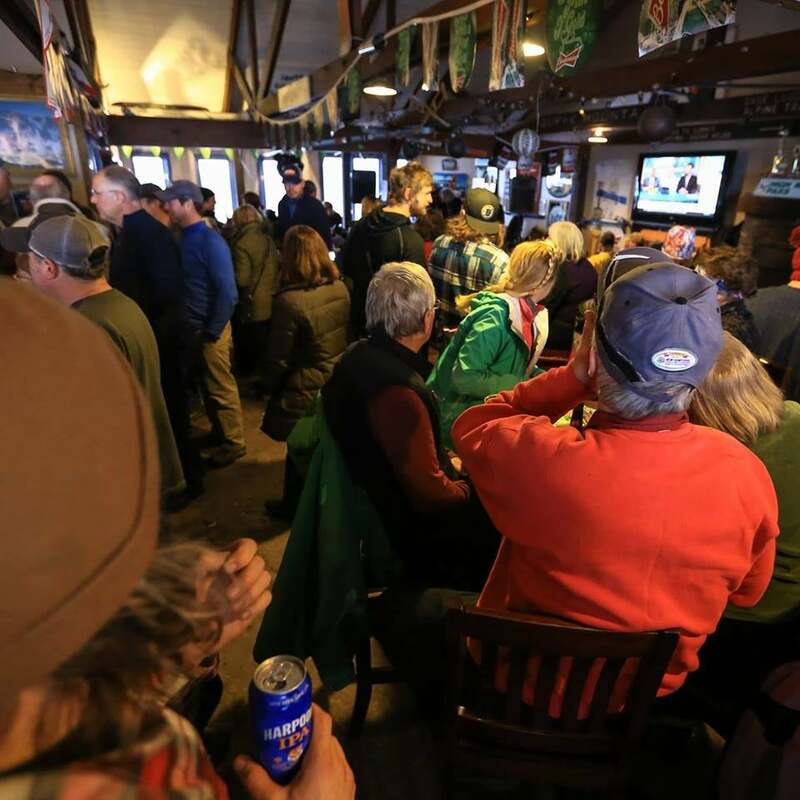 By 3:30, they’re warming up with drinks—a hot toddy for Baker, a Vermont craft brew for Rose—in front of the fireplace in the The Bear Den, Burke’s historic bar. Try not to get too jealous of their routine. The good news for everyone else is that you don’t need to buy a ski cabin to experience that paradise. 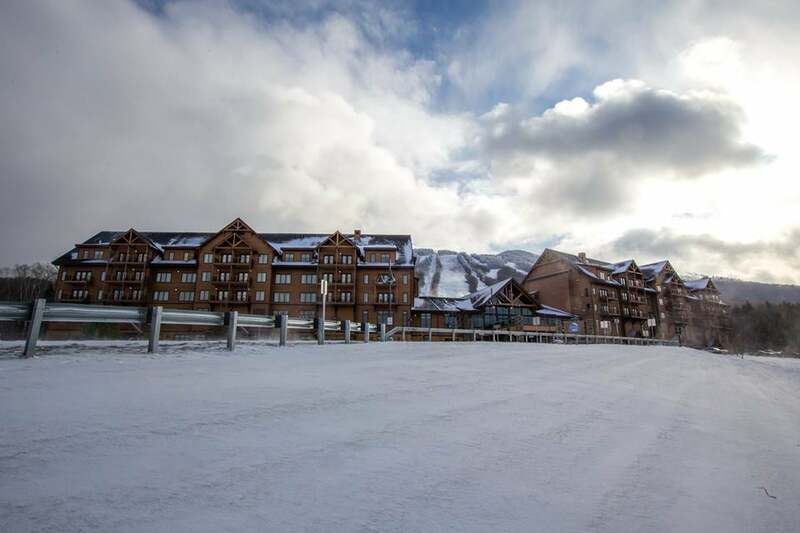 In 2016, the ski resort built the Burke Hotel. And if you book yourself a weekend there, you can enjoy the mountain’s best of both worlds: all the amenities of a brand-new luxurious (and dog-friendly!) hotel plus the experience of kicking back at a classic ski bar. Oh, and don’t be surprised if Kristen, the long-time bartender, remembers your first name the next time you drop in. Naturally, if you’re planning a weekend trip to Burke, your sights are set on skiing the intimate trails, Instagramming the insane vistas, and having an incredible Vermont ski experience, testing yourself with how many runs you can squeeze into one day if you make first tracks. (Rose says 20 runs is very doable thanks to always-short lift lines). Because Burke Mountain Hotel is built around skiing, all of this is made easy: the hotel is truly slope-side, so you can ski-out. You’ll be on the mountain as fast as you can walk down the stairs from your room. And every room offers a beautiful view to wake up to: Burke Mountain to the east and the Willoughby Gap to the west—one of Vermont’s most iconic views. Still, the best views come with the skiing. Ask anyone on the mountain for their trail recommendations, and you’ll probably hear about East Bowl. 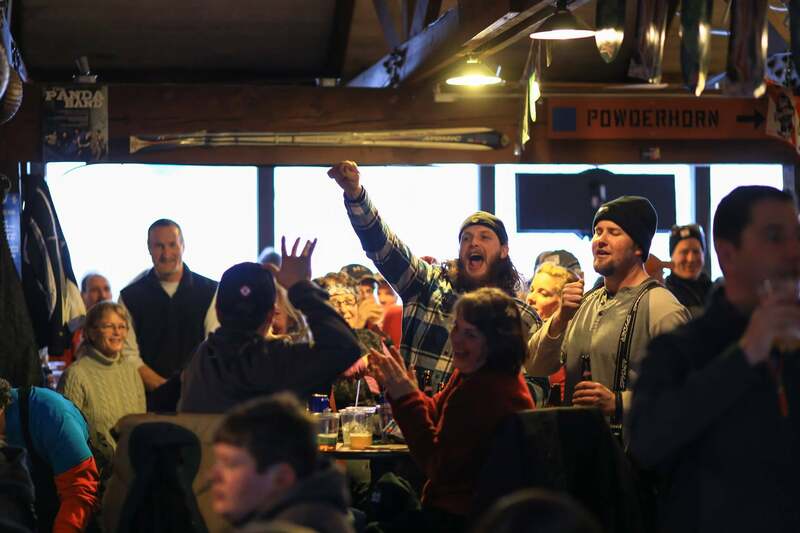 Live entertainment and full drinks are staples at Burke Mountain’s Bear Den. And once you experience that slice of heaven, just ski back to your hotel, where you can whip up meals in your room’s kitchen (equipped with a stove and full-sized fridge) or head into the quaint town of East Burke for a bite. If you make it up for a Thursday night, be sure and join in with Burkies—mountain regulars—for Trivia Night and burgers at the hotel’s View Pub Bar. But it wouldn’t be a visit to Burke if you didn’t taste its history — after all, people have been skiing there since 1955 and adventurers have been picnicking on and hiking its trails as far back as 1860. 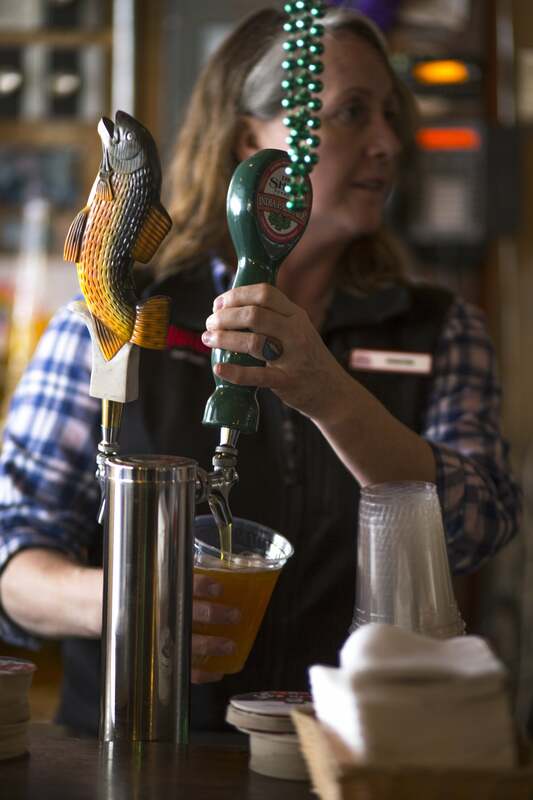 Every morning at 10 a.m., Kristen Classen walks through the doors of The Bear Den where she’s been bartender for 15 years. And every morning, a trail of skiers track in clumps of snow after her. The bar won’t open for another hour, but Classen exchanges morning greetings with her regulars, who like to keep her company while she sets up. A crowd of regulars enjoys themselves at The Bear Den. The 50-year old Bear Den is just a stone’s throw from Burke Hotel, inside The Mid Burke Lodge. It’s beloved among Burkies, like Don Mader. Classen said that Don Mader doesn’t even drink, he just loves the atmosphere. Later in the day, when Barb skis in, a Magic Hat Single Chair will be waiting on the counter for her, with a seltzer beside it for Don. It’s that kind of bar. With white Christmas lights glowing year-round around the windows, a real wood burning fireplace that’s always roaring (all the rest at Burke have been converted to gas), and soup and chili served daily, The Bear Den is the definition of welcoming, despite its ancient frame. Everyone feels at home there and Classen knows most everyone by name. Cheers to another great day on Burke Mountain. Barb Mader had her own perspective on the appeal of The Bear Den. “Don and I are both in our 70s and we hang out with the kids in their 20s there,” she said. Baker and Rose are also locals during ski season, and know Classen—and the Maders—well. “We kind of joke, The Bear Den is our community center,” Baker says with a laugh. 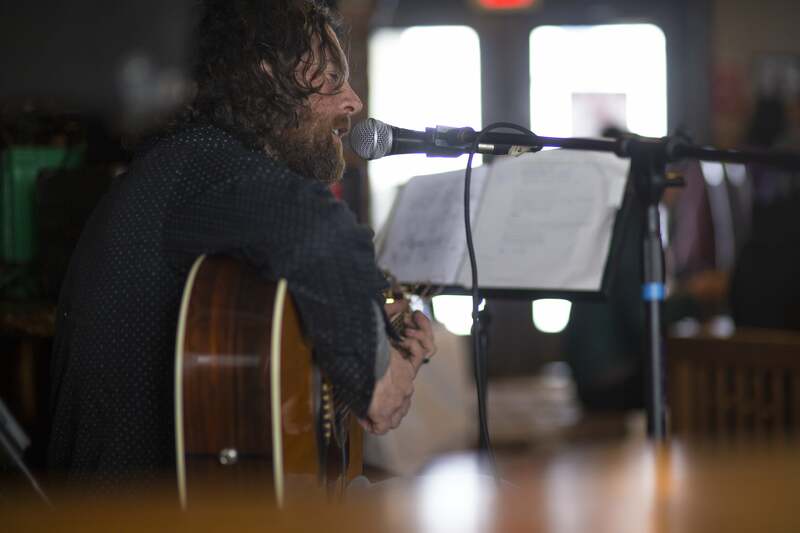 On Saturdays, when the bar has live music from 3-6 p.m. from local Vermont bands, it’s typical for the bar line to be 10 deep, Classen says, though luckily, her co-bartender, Germaine Murphy, will be working too. Not in the mood for what’s on tap? Try a house cocktail, all named after the surrounding slopes. With 10 rotating taps and staples like Guiness, Switchback and Fiddlehead, the bar also has classic house drinks named after Burke trails like ‘The Flamin’ Eddy,’ ‘Why Not’ and ‘Hibernator.’ One of the most popular drinks is a White Russian, Classen says. “The ski patrollers like to call them ‘Big Lebowskis,’ because of the movie, so people in the know order those,” she laughs. Classen and Murphy also make hot chocolate for lots of kids who come in with their parents, using nothing but Vermont Cabot whipped cream to top it off. But even if you’re not entertained by the drinks or music, just peruse the walls, which are covered in retired ski gear and old trail signs. Those marks, and that beam, inside the legendary Bear Den should be around for a long, long time. Can you name the U.S.A.’s leading ski race academy? It’s not in Colorado or Utah. It’s on a relatively small, obscure ski mountain in rural Vermont. Seven of its alumni are competing in the 2018 Winter Olympics, including Mikaela Shiffrin. What is Burke Mountain’s secret? 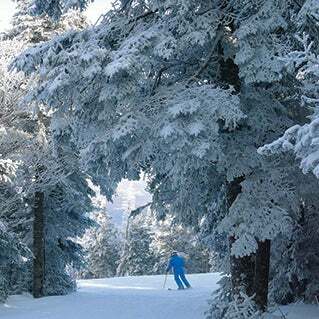 Vermont resort offers a throwback experience, with modern twists and classic New England skiing.